The Special Awards Ceremony was held tonight and Alexandra Garth won 2nd place (US$1000) in the American Psychological Association awards for her project “Stay tuned: Comparing the long and short-term effects of auditory stimulation in increasing the sensitivity of a person’s hearing”. She also received an Honorary Mention in the Acoustical Society of America awards. Both these awards are significant as most of the awards tonight go to American students. There were no other Australians who received an award tonight! 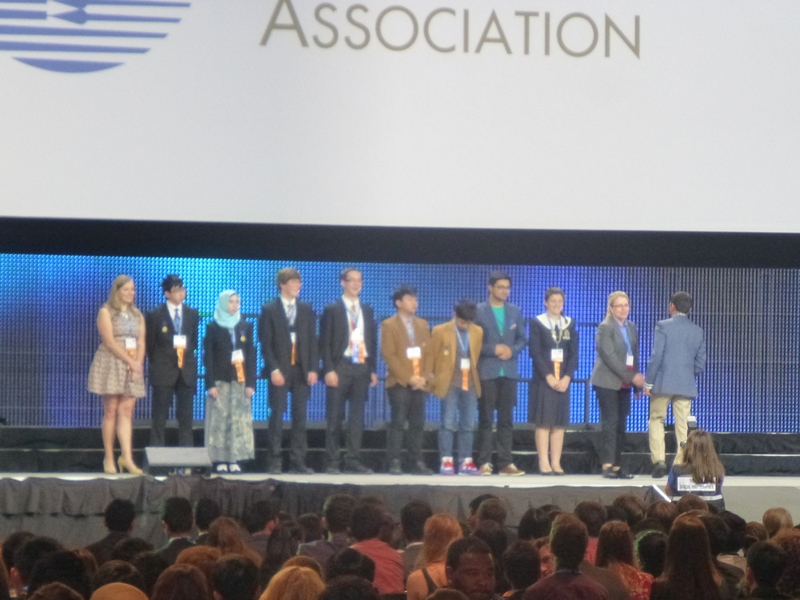 This is our final ISEF post. Unfortunately we did not win a Grand Award. 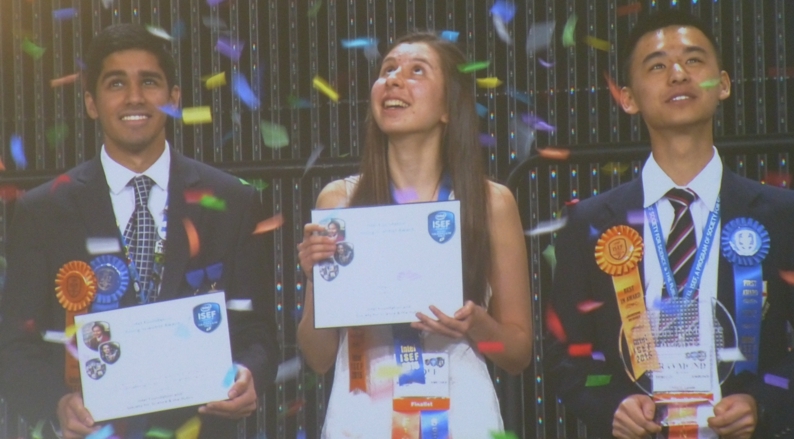 The top awards of $75000 and $50000 were won by these students above. The girl, from Canada, came up with a HIV test that can be done for $5, with the result given in 60 minutes. The other Australian BHPBSEA team also came away without a Grand Award.